Vrindavan Dham- the one unique holy land to witness the allure of Shri Bankey Bihari and his beautiful companion- Radhe Ji. It is a belief that all your sins are destroyed and washed away, only with a single visit to this sacred pilgrimage. Who would not desire to come to this divine land to show gratitude to Bankey Bihari Ji and does not want to take blessings from him in his beauteous personification? Perhaps, no one. 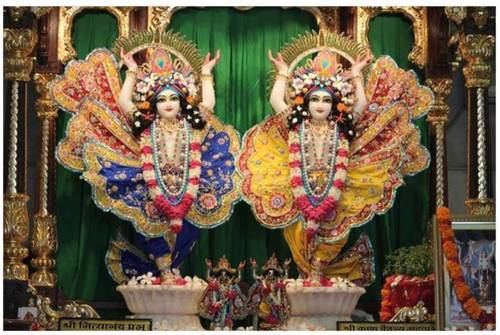 This temple is situated in a prepossessing vicinity of Shri Vrindavan Dham to revere Lord Bankey Bihari . It is said that this temple was established by the descendants of Swami Sri Haridas ji around in 1921. At the time of the temple’s construction, no princely wealth and opulence were taken as the contribution to the establishment of the image of venerated Bankey Bihari Ji. In mythology, it is depicted that Shri Haridas Swami was from Vaishnava dharma (religion) and was very kind, humble and generous personage. In 1536, Swami Haridas ji was born in a very small village- Rajapur near Vrindavan on the auspicious day of Ashtami in the Shukla paksha of Bhadrapad month, according to Hindu calendar. His loving and adorable Lord Shyam- Bankey Bihari Ji had a pleasing personality and appealing charisma that inspired his devotion more towards Bankey Bihari Ji. His father’s name was Gangadhar and mother’s name was Chitra Devi. Shri Bankey Bihari Ji, who was pleased with Shri Haridas Swami’s bhajan-kirtan, had appeared in front of him, after his toughest penance. It is also said that- Haridas ji, was a disciple of Swami Aashudhiar Dev ji. Whenever, Ashudhir Dev ji took a glance at him, he always noticed that Swami Haridas ji had similar qualities and characteristics to that of sweet Lalitaji (Radha). Ashudhir Dev ji also visualized that Swami Haridas ji had given his Darshan in a beautiful incarnation of Goddess Radha-(soul mate of Bankey Bihari) on Radha-Asthmi Day to make it a big splendour. 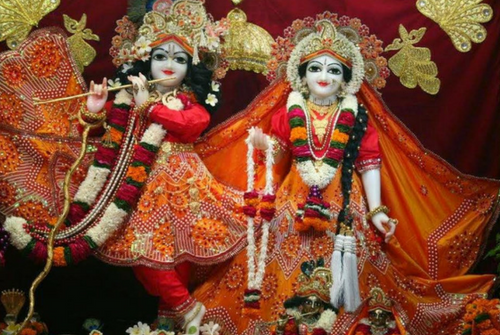 Being the incarnation of Rasnidhi Sakhi-Radha, Hari Das ji is believed to be gone far away from all the worldly pleasures and sooner got bored from everything that one owns. In adolescence, Hari Das ji took an initiation from Shri Ashudhir ji to mediate near the banks of Yamuna River for attaining salvation and to have peace of mind. When he was 25 years old, he got infidelity from his guru- Shri Ashudhir ji and began concentrating and deeply mediating his beloved- God-Shri Nikunj Bankey Bihari Ji. While meditating in the dense forest, he also had a dream of a Bankey Bihari Ji’s idol which has been undergrounded deep inside the earth surface. Hari Das ji immediately requested to excavate it out from the ground. 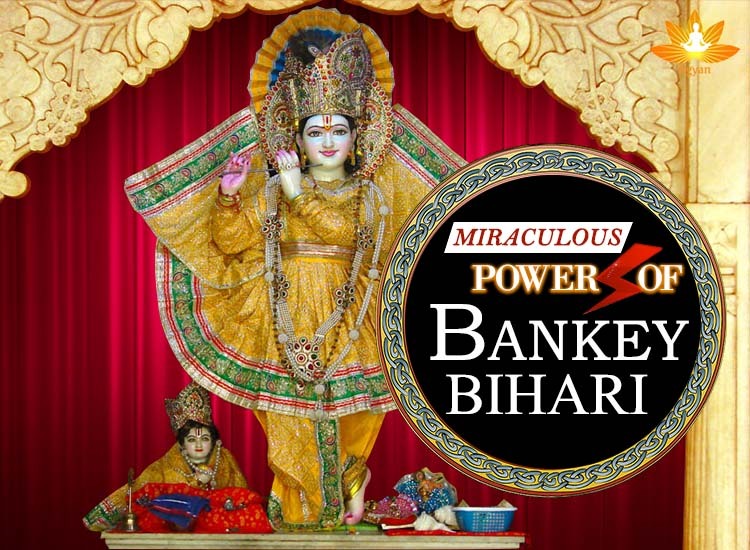 Hence, this beautiful idol became famous across the world by the name- Shree Bankey Bihari ji. He brought this impeccable statue of Lord-Bankey Bihari ji in the Shukla Paksha of Pancham Tithi to the world. Therefore, we celebrate pancham tithi as Vihar Panchami with immense gusto and fervour. Since that day, this notable temple of Shri Bankey Bihari ji became famous and distinguished.